At The Contractors Plan, we have 30 years experience helping contractors manage their prevailing wage benefits needs. Our specialized retirement plans ensure prevailing wage contributions made to your employees' retirement accounts provide the greatest benefit, and can be leveraged to increase tax deductible contributions for owners and key employees. Our loan program is unique in the industry, setting up retirement loans directly between the benefits plan and the employee. Employees get a direct statement each month, and employers never have to handle repayments. If an employee terminates employment, he or she can continue to pay off the loan directly through The Contractors Plan - avoiding difficult loan pay offs, deemed distributions and tax penalties. 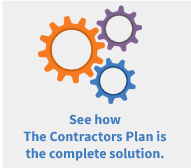 We're more than just a great retirement partner - The Contractors Plan is a complete solution supported by a suite of benefits administration tools designed specifically for contractors. We're compliance experts, eliminating the paperwork and time it takes to stay compliant with ERISA, the Davis-Bacon Act, prevailing wage laws and federal and state regulations. Best of all, we help employers realize dramatic savings on their payroll expenses by allocating some or all of the fringe benef it portion of the prevailing wage to a bona fide benefit plan. This leads to savings in taxes and insurance, which leads to higher profits and lower bids, simplified accounting and repor ting and an increased chance of winning jobs. 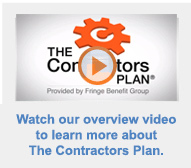 Want to see what The Contractors Plan can do for you? 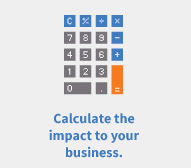 Go ahead and run the numbers with our integrated savings calculator. Then fill out the form to get a customized assessment. © The Contractors Plan 2017. All Rights Reserved.